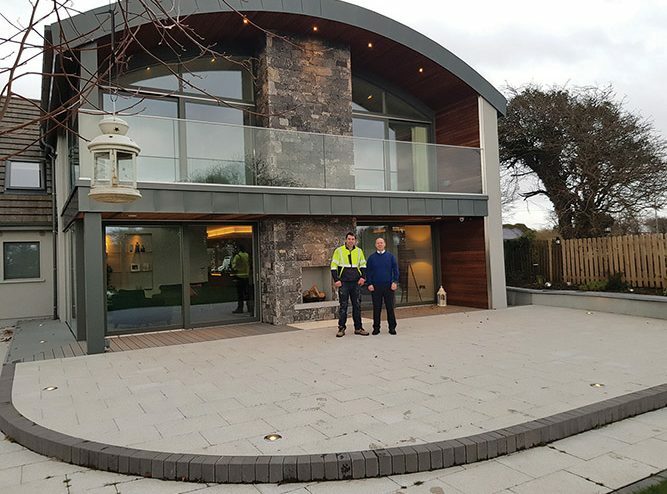 Loughwood Contracting Ltd in Co Galway is fast-approaching a decade in business and is as busy as ever. Building Ireland learned all about the company from its founder Patrick Connolly recently. 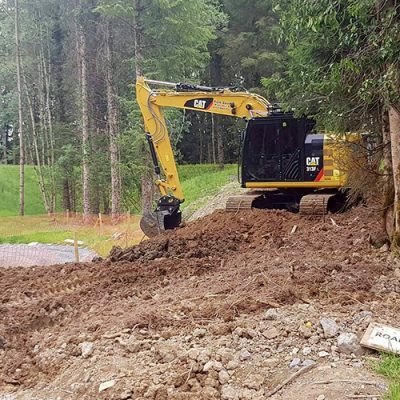 Loughwood Contracting has earned itself an excellent reputation for providing its clientele with a first class service – and it’s little wonder why when you consider those at the helm. 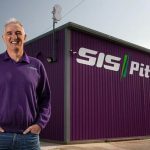 It has been nine years since Patrick and Hazel Connolly founded their company in Moylough, Co Galway and in that time some outstanding projects have been completed all throughout Connacht and the country’s Midlands. Indeed contracts have been completed for a wide range of different clients that include local authorities, multinationals and receivers as well private clientele. The contracts keep on coming for the time being too and for Patrick he wouldn’t have it any other way, having built this company from the ground up to the success that it is today. The man himself was good enough to take time from an increasingly busy schedule to outline to Building Ireland what they’re all about. “We’re based in Moylough, Co Galway and the company has been growing steadily since 2010. At the moment, we have five staff and myself and my wife Hazel are the directors. We also repeatedly use a highly capable team of sub-contractors with a keen focus on quality throughout our workforce,” Pat explained. “The main services that we provide are commercial fit-out, new house construction, extensions, renovation works and civil works. Loughwood Contracting have been providing building and maintenance services all around Galway, the west of Ireland and the Midlands. 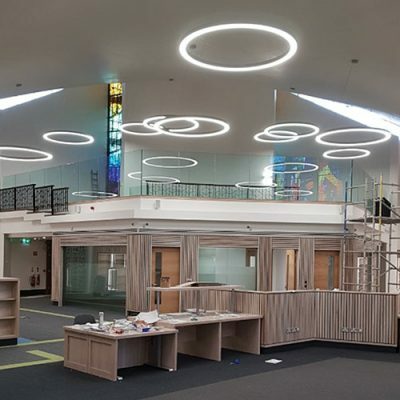 The company works in conjunction with various architects, engineers and energy consultants and have completed a wide range of construction, refurbishment and energy upgrade works. 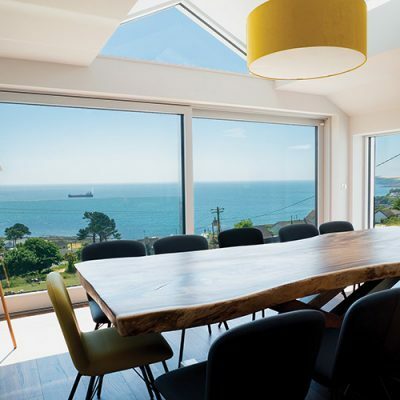 When it comes to airtightness, energy efficiency and standard of finishes – both internally and externally – Loughwood Contracting Ltd has truly exceeded the targets the company had originally set out. That comes down to the conscientious team of tradespeople and also largely due to the fact that Patrick is mainly site based. 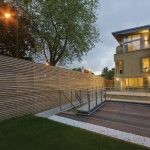 A fully qualified carpenter, Loughwood Contracting Ltd’s Managing Director has close to 20 years’ experience on all different sizes of projects. “I’m a carpenter by trade. I had worked in all aspects of the trade before setting up on my own. I’m generally site-based which most clients find very helpful with us here,” said Pat. The way business is going at the present time it doesn’t look like being an issue for the firm. Clients choose Loughwood Contracting for the excellent work it carries out time and time again and the fact that Patrick is always on hand to assist clients, as well as advise on how to get the most from their project, is a huge attraction as well. Safety is also a huge aspect of the business. 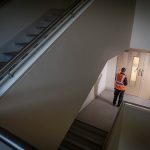 The health and safety of Loughwood Contracting’s operatives, clients and members of the public are of the utmost importance to the business and they are in compliance with all aspects of health and safety legislation and have a proud record in relation to Health and Safety. In many ways the standard of work and health and safety is reflected on how the company is doing business-wise now, close on a decade since its inception. “Business has been very good to be honest,” Patrick said of the first three months of 2018. And the clients that they have at Loughwood Contracting are loyal to the bone, with many having developed a healthy business relationship with Patrick from the outset. Galway County Council, Roscommon County Council and the Galway and Roscommon Education and Training Board are three of the company’s most prominent and valued clients. The work has been coming thick and fast over the past 12 months and there’s more on the way. However, the plan, for now, is to keep things as the way they are with regards to the company’s size. “We have a couple of projects coming up that I’m just not able to go into at the minute,” said Patrick. Looking towards the summer months, Patrick isn’t about to stray too far either. Indeed it will be more of the same for Loughwood Contracting. 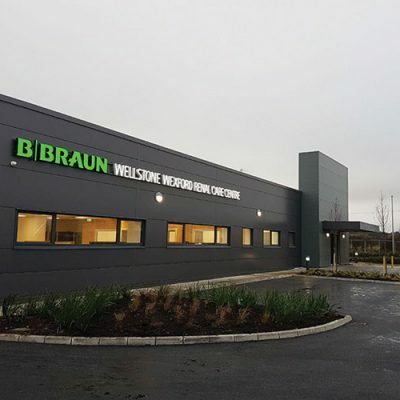 “We have chosen to resist any form of growth that isn’t both profitable and sustainable and I firmly believe this will hold the company in good stead into the future,” the Managing Director concluded. At the present time, it’s that simple for Patrick Connolly and Loughwood Contracting. 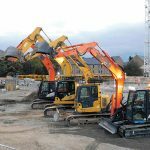 If you’re looking for a job to be done safely, efficiently, cost effectively and to the highest of standards be sure to contact Loughwood Contracting Ltd.